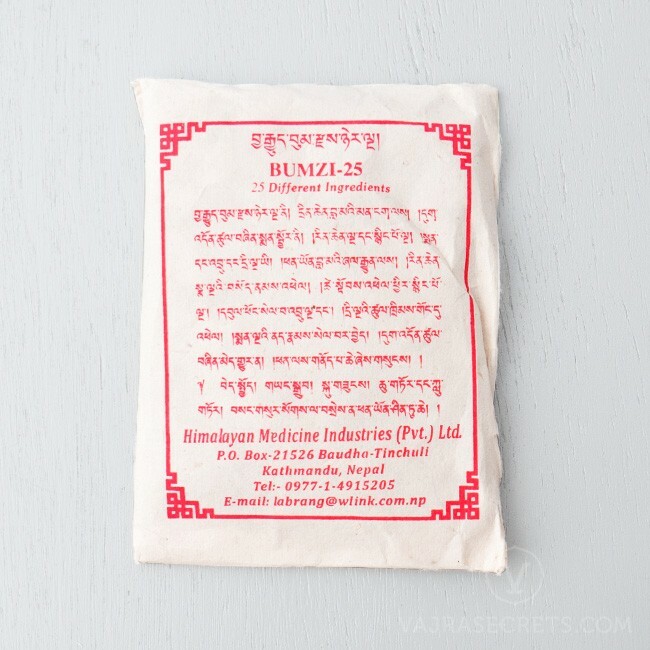 Formulated from 25 different ingredients, Chagyu Bumze-25 is a traditional substance widely used in Tibetan Buddhist rituals, primarily Lower (Kriya) Tantric rituals that require the use of a bumpa (ritual vase). Prepared under the supervision of the eminent healing lama, H.E. Gangchen Rinpoche, Chagyu Bumze-25 is handmade from 25 different ingredients according to ancient scriptural methods and formulae. 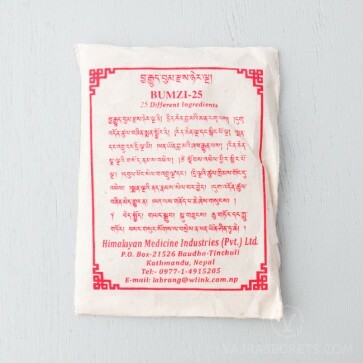 A traditional substance used in Tibetan Buddhist rituals, Chagyu Bumze-25 is available in a convenient powdered form. It can be added to a bumpa (ritual vase) for Lower (Kriya) Tantric rituals including those of Medicine Buddha, White Tara and Namgyalma.